At Pueschner we design industrial microwave plants to make the task for the operator as well as for the process engineer as easy as possible. Our philosophy is that design should meet all user and process requirements. 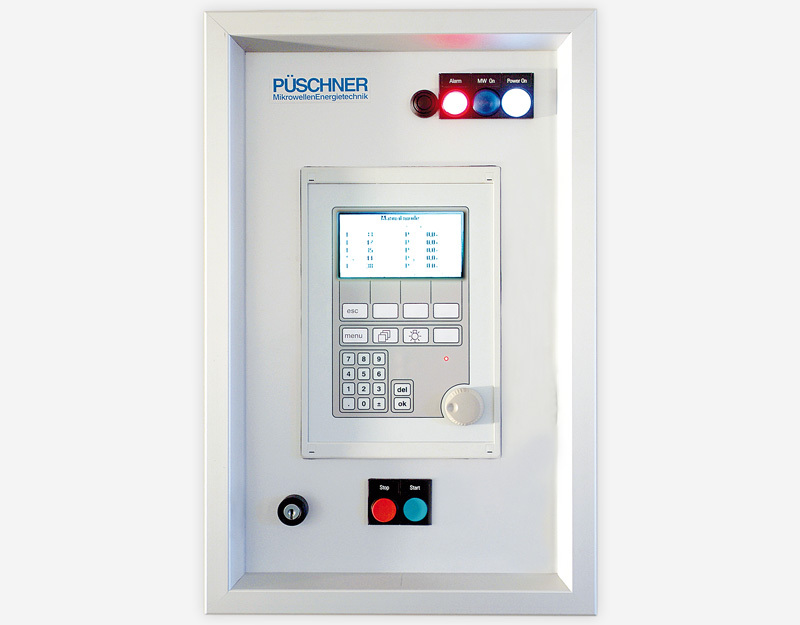 A clear user interface with access to all process parameters means better process control. The results are better process stability and higher product quality. Just one example is the Pueschner rotary knob. This key input element has introduced an unprecedented level of simplicity of setting parameters. One hand and three simple steps (select - adjust - confirm) are all you need. 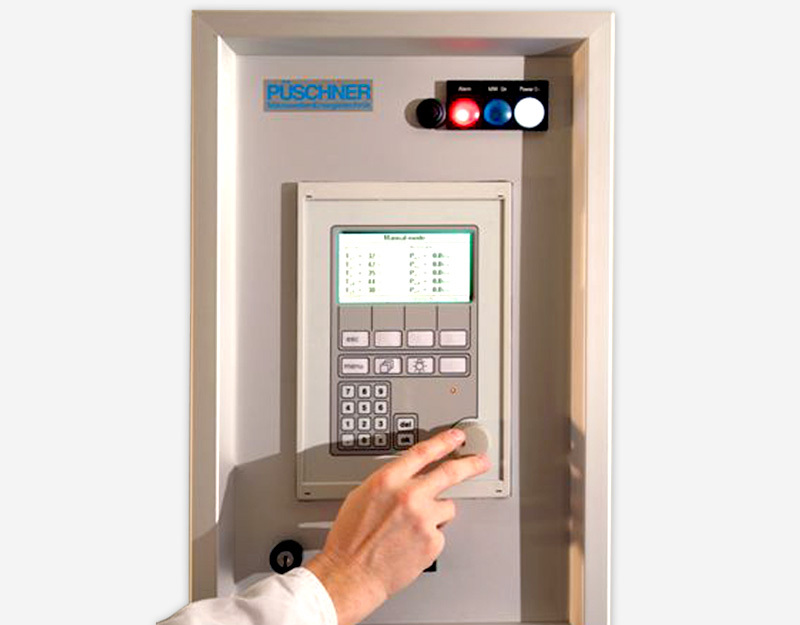 What's more, the rotary knob with the same PLC is installed in all Pueschner microwave plants with the same user interface. Our microwave process controller (PLC) is designed to meet the needs of the operator and of the process engineer. A process script languages allows the process engineer to design and change his process having access to all process parameters. Once the script file is downloaded and stored on the PLC, complex processes can be easily driven by any operator. Clear text messages and help functions are available in English, German and other languages. Beside the static process, trend data monitoring provides much more information of the process conditions. Any Windows PC can be connected to the microwave PLC via RS232 or Ethernet. All data can be stored. 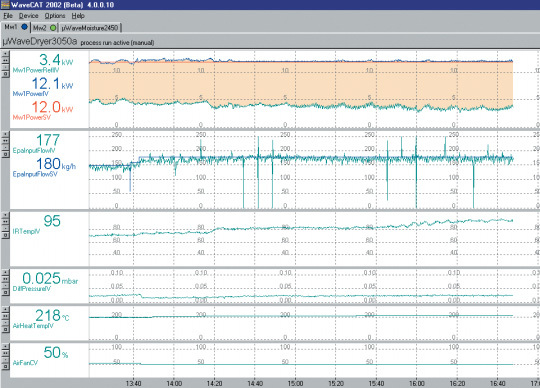 A wide range of functions is available using the PC program trend data monitoring program µWaveCAT. 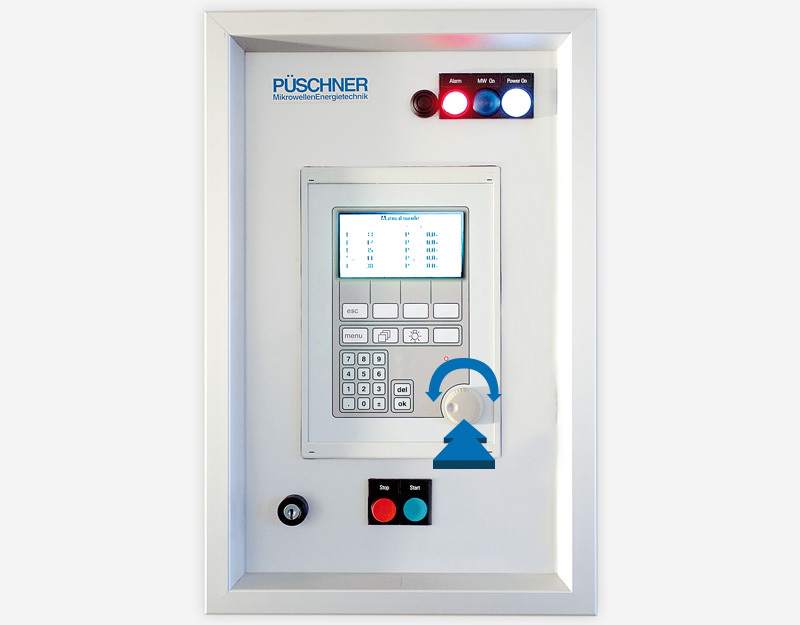 By applying ergonomic principles combined with integration of all process parameters into the PLC the operator is able to run a stable and reproducible process with minimal assistance. 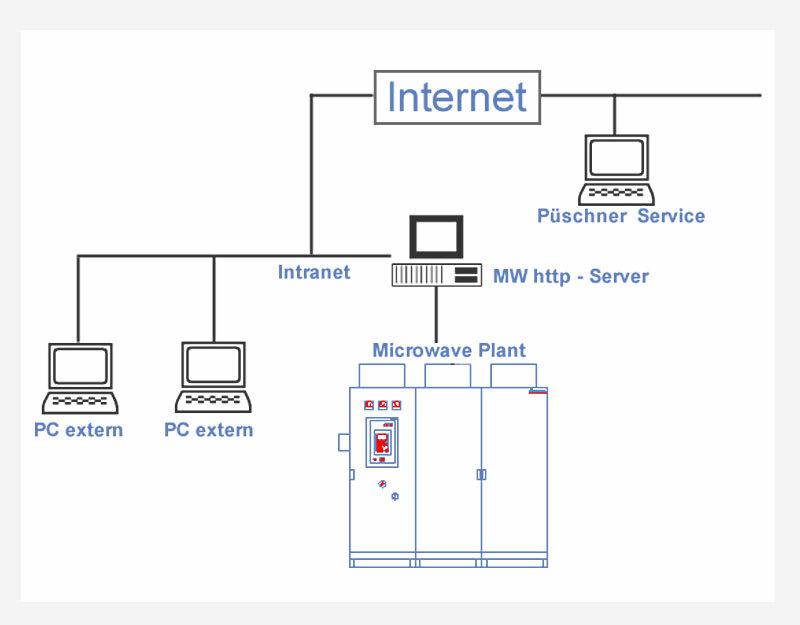 All Pueschner microwave plants can be equipped with a modem as well as with Ethernet (TCP/IP) providing worldwide access via a phone line or via internet. Using the Ethernet option, the client can access easily the microwave plant on his local Intranet. Password protection, call back function etc. cover security demands. Increased efficiency with better results - that's the bottom line of better design. If electromagnetic waves penetrate into non-conducting dielectric materials, the wave changes its velocity of propagation depending on the dielectric losses of the material. Reflection, absorption, transmission and refraction are typical phenomenon in interaction between material and electromagnetic waves. 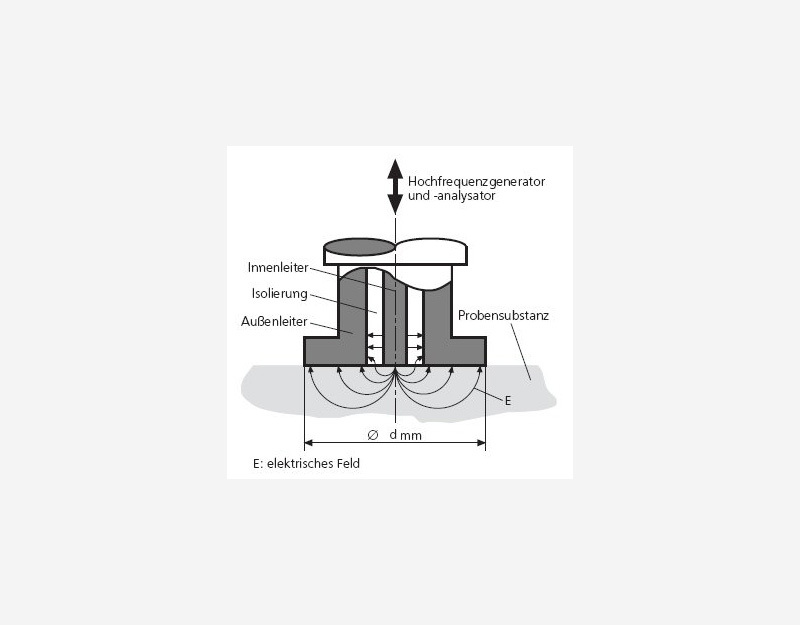 The measurement of these conditions allows calculating the dielectric losses of the material within the electromagnetic wave. This information can be used to determine moisture content or other material conditions, which have a correlation to the dielectric losses. The simplest method with the lowest accuracy is the measurement of absorption. The highest accuracy can be achieved while using the method based on resonance spectroscopy. 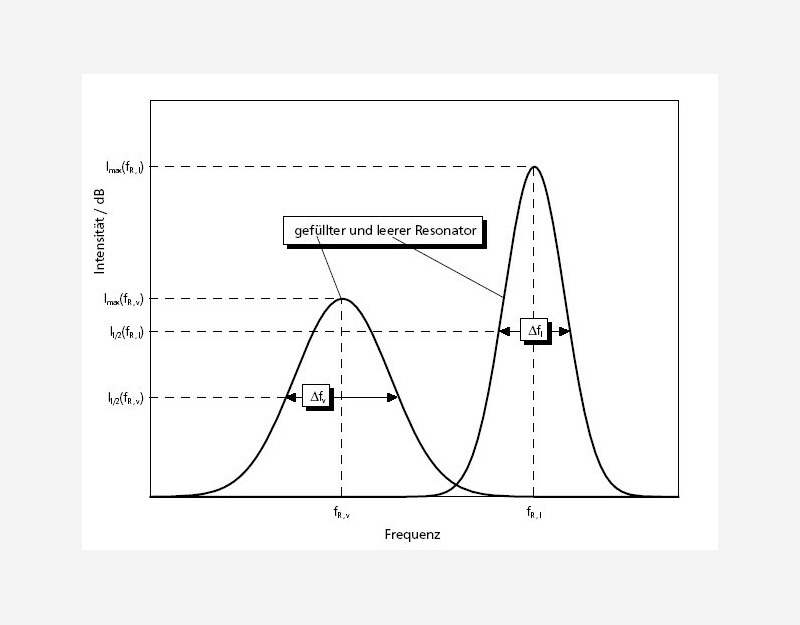 Measuring these two parameters of frequency shift and magnitude decrease within a defined frequency range of a resonator allow to determine the moisture content of a sample with high accuracy. 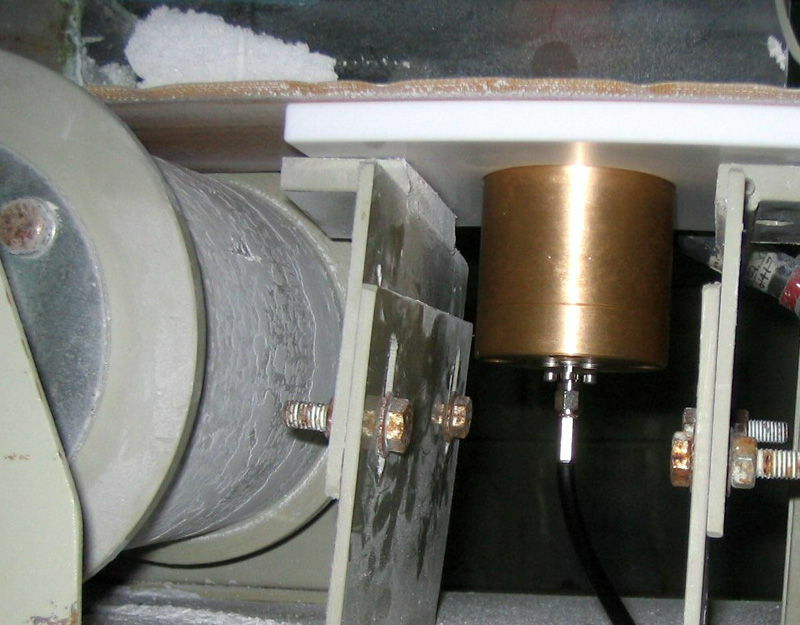 Pueschner is incorporating the dielectric measurement parameter into industrial microwave heating plants. Therefore this parameter is not available as stand-alone.